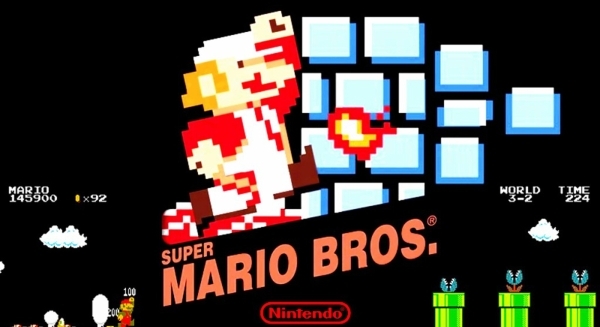 If you think of video game music, then you think of Super Mario Bros. But why? Why does a song made decades ago still get stuck in our heads? PBS’ Game/Show produced a video hosted by Jamin Warren that explains exactly why. Psychology Today wrote a wonderful article about how music evokes nostalgia and that psychologist "Schulkind and his colleagues found that the more emotion a song generated for someone, the more likely the song would cue a memory. In addition, older songs more often evoked memories for the older participants whereas recent tunes brought memories to mind more often for the college students." "researchers have uncovered evidence that suggests our brains bind us to the music we heard as teenagers more tightly than anything we’ll hear as adults—a connection that doesn’t weaken as we age. Musical nostalgia, in other words, isn’t just a cultural phenomenon: It’s a neuronic command. And no matter how sophisticated our tastes might otherwise grow to be, our brains may stay jammed on those songs we obsessed over during the high drama of adolescence." So not only do we like the song, our neurons will synchronize with the beat of the music. But, why Super Mario Bros? Because the songs were synchronized to the play of the game! It's fascinating stuff and worth the ten minutes (five for the actual video) of your time to watch. The music had to be written into the game - interesting. I played the game, but for some reason that theme song never got stuck in my head. Pac-Man - now that's a different story. I have a version of the song recorded by the London Symphony Orchestra, which is always fun. I always find it kind of sad I can remember jingles from 30 years ago and yet forget what I had for breakfast this morning. Speaking of nostalgia, did you see the Seinfeld where George couldn't get the jingle "By Mennen" out of his head and came up with his own version, "Co-stan-za?" It's similar to smells and scents. If they're connected to something fun and from my youth, they trigger those memories. It's fascinating stuff. I rarely played the game, but my kids did all the time. When I heard the music at least I knew where they were, what they were doing, and I could relax for a while. Maybe that's why it stuck in my head. Psychology is such interesting stuff. That's fascinating Donna. For you it's not the game but the feeling of relaxation that came with knowing the kids were occupied. Psychology is fascinating indeed. I want to win tickets to see Jurassic World because I have been a huge Jurassic Park fan since 1993 :)! My personal favorite dino is the Velociraptor. I always loved jurassic park movies ever since I was a kid,favorite velociraptors. I can appreciate all dinosaurs but if I had to choose a favorite it would have to be Brontosaurus. Their massive size along with long necks are so interesting and beautiful.